The hose behind your dryer has to have space to run into the wall. This creates a situation where you have the dryer sticking out into the laundry room, eating up space. If you try to even up the washer and dryer, you lose even more space. The Dryerbox solves this by creating an inset into the wall behind the dryer that gives the hose room to breathe. The dryer's air will move through without being obstructed and thus, lowering your drying time and increasing efficiency. You paid a lot for your washer and dryer set. 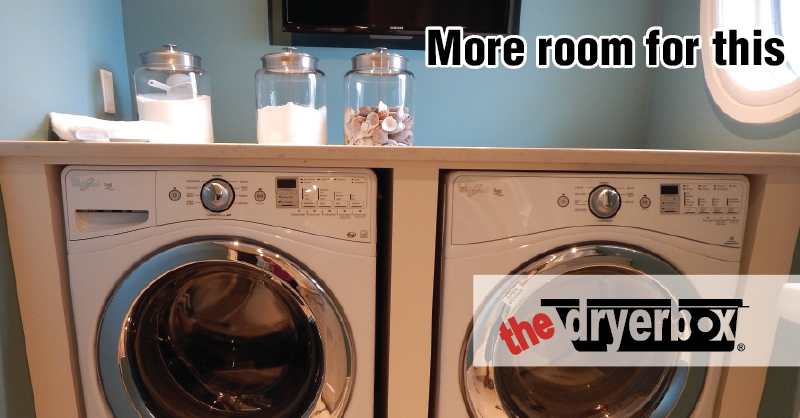 Make sure they are well positioned with The Dryerbox.